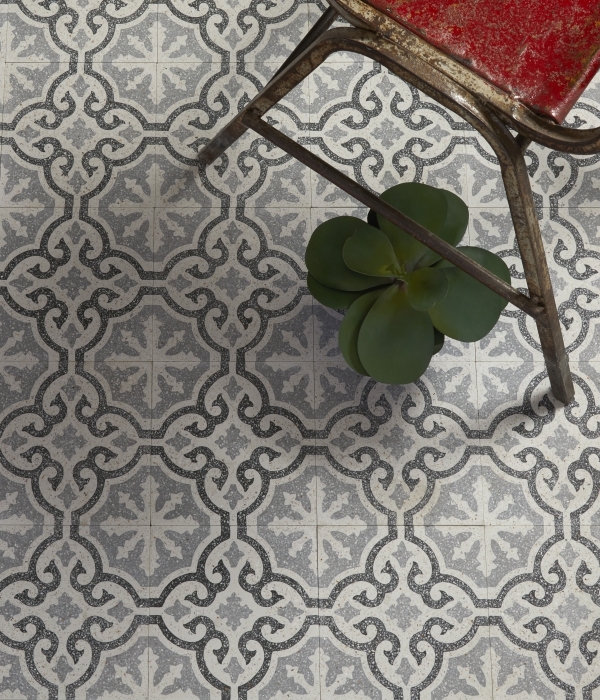 These tiles are easy to fall in love with as they add instant charisma to your living space. 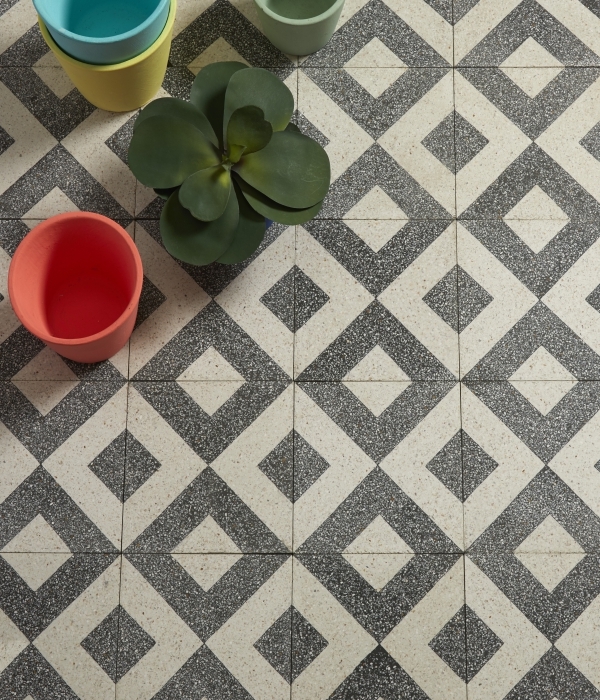 The patterned tiles in our Terrazzo collection take centre stage and bring a bespoke and enchanting element to your home with plenty of visual energy. For instance, the geometric design of the Porto Romana, with its optically challenging triangle design, and the Monza tile, with its gentle waves in tones of grey and beige really catch the eye, creating a crisp, ordered yet inspired look. Imagine them in a modern space with simple, modern furniture and fittings. 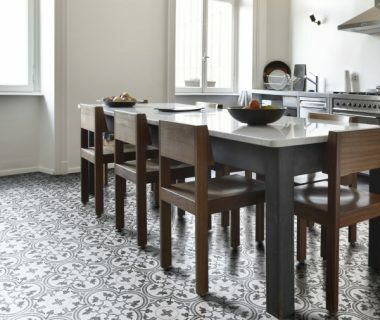 The mottled grey of the Field tile brings a fresh and modern look to a room and is the perfect flooring for a space with lots of colour. If you’re looking for limestone that has the appearance of terrazzo, then we have the simple and beautiful Castelli. A made-to-order and bespoke limestone tile. It is very hard and durable, with the speckled appearance of terrazzo. It’s pale nearly-white tones will make any home look almost heavenly. The terrazzo has a long history for a reason – because it is beautiful and it is durable, making it the perfect solution for flooring in any style of home. Take a look at our full range and be inspired.